'Mitchel' Shantung Christening Outfit w/ Pin Tuck & Matching Bonnet. 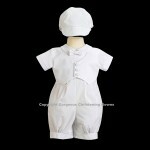 Home » SHOP » Christening Wear » Boys Christening Outfits » ‘Mitchel’ Shantung Christening Outfit w/ Pin Tuck & Matching Bonnet. 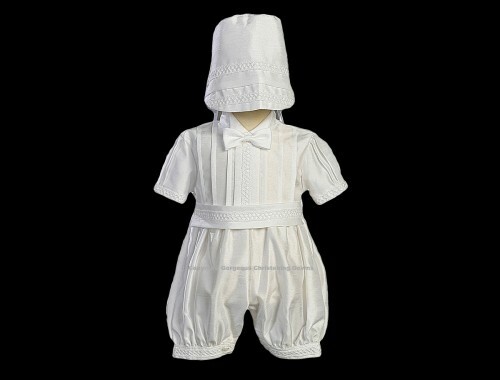 ‘Mitchel’ Shantung Christening Outfit w/ Pin Tuck & Matching Bonnet. 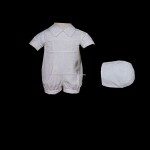 Your little boy will look stunning in this one piece shantung pin tuck christening romper outfit. 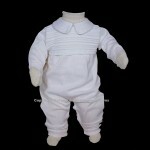 Ideal for Christening, Baptism, Dedication or any other formal occasion!